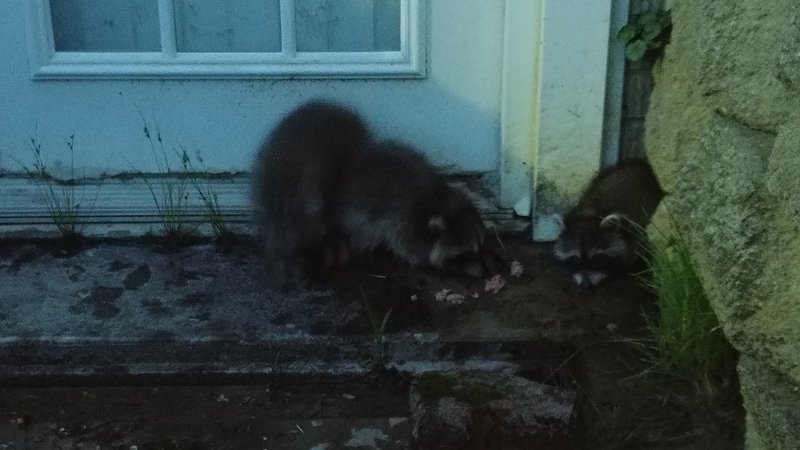 Gramma called me the other night and said there were three tiny raccoons on her porch but no mother. She said she was sure they were still nursing age, and she was worried about them. 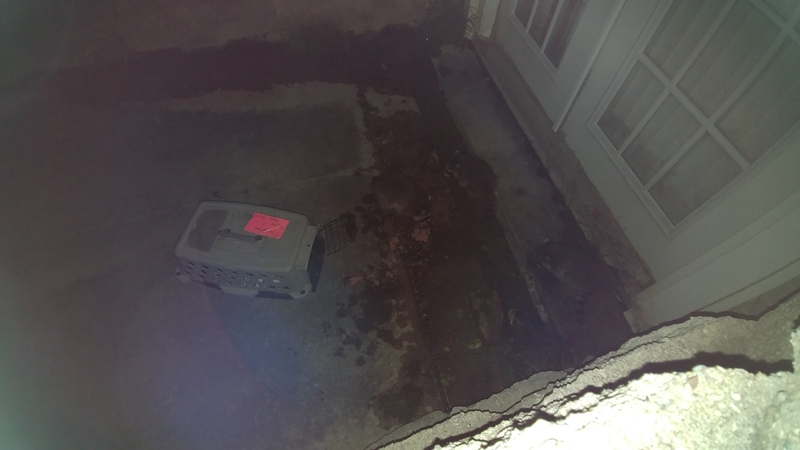 I grabbed the cat carrier and a can of cat food and headed down. 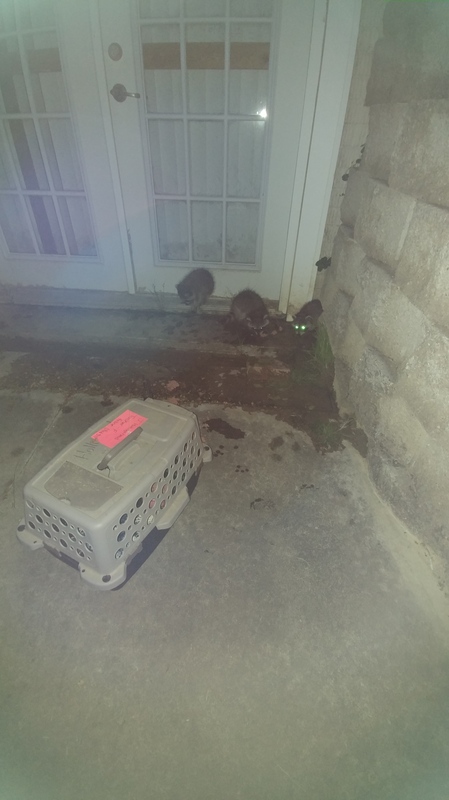 My plan was to scoop them into the carrier and call a wildlife rescue the next morning. They were definitely not nursing age. They were still young though, and I figured they snuck out while their mother was around there somewhere hunting dinner. They squeaked and hissed at me and ran and played all over the backyard. I gave them the opened cat food and left the cage open just in case they needed a hideout for the night, but they climbed a tree after eating, and I went back home. I am always amazed at the amount of wildlife I get to see around here! Neat 😁 I had one for a pet before you were born. It didn’t like your mother at all. It would climb up onto my shoulders and lay across them from side to side, and would “hiss” at her. I returned it to the woods up by the area you now live in.